A.R.C.H Consulting Group has a very experienced staff. Both owners have been industrial hygiene consultants since 1994. Their combined experience in the Environmental Health and Safety field exceeds more years than they wish to admit. With this depth of experience A.R.C.H Consulting Group is able to provide a full range of industrial hygiene and safety consultation services. A.R.C.H. Consulting Group is able to collect, identify & quantify almost any airborne chemical vapor, aerosol, particulate, mold, bacteria, etc. using a variety of air sampling methods and instruments. Before collecting an air sample there must be a clear understanding of the reason to collect an air sample and a sampling strategy to ensure the right data is collected. 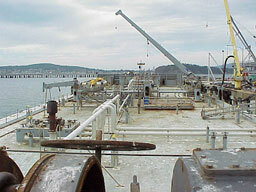 Air sampling is usually done for one of the following reasons. Noise Dosimetry: Personnel noise dosimetry is used to document workers’ exposure to noise more accurately than can be done by just making general area sound level measurements. Noise dosimeters worn by workers integrate the sound level throughout the day to 1) measure the time-weighted average (TWA) exposure for the duration of the shift, and 2) the highest peak noise levels during the shift. Personnel noise dosimetry is performed using Metrosonics datalogging noise dosimeters, which record average noise levels every minute and provide full-shift detailed and summary data. The dosimeters meet the Class 2A-90/80-5 requirements of the American National Standard Specification (ANSI), S1.25-1978 for dosimeters. Sound level measurements are made using a Quest Model 2900 Integrating/Logging Sound Level Meter (SLM). The sound level meter meets the ANSI Type 2 requirements for sound level meters, S1.4-1971 (R1976). Sound level measurements are made on the A-weighted scale, using a slow response. The meter simultaneously records maximum sound levels on the A-weighted scale and impact noise using a C-weighted scale, fast response. The CIHs at A.R.C.H. Consulting Group have been testing for mold and bacterial growth inside of office buildings, schools and homes since mold became a public health issue in 1995/96. Water intrusion inside buildings can cause mold and bacteria growth that could impact the health of some occupants. A.R.C.H. Consulting Group is skilled at using a variety of test methods to determine the type and amount of mold growth inside buildings. Based upon the test results, moisture levels and an inspection of the area, A.R.C.H. Consulting Group can provide the client with a mold abatement plan to safely eliminate the damage caused by water intrusion inside the building. These custom-made abatement plans are site specific and base the amount of remediation on the level of risk at the site. The amount of remediation recommended is not over or under exaggerated. A.R.C.H. Consulting Group can refer you to Contractors who are skilled in the mold abatement field or we can train your Contractor to execute the protocol correctly. The work can be inspected periodically to ensure it is being done correctly. After remediation and before the area is rebuilt, A.R.C.H. Consulting Group can perform “clearance testing” to ensure the area has been adequately cleaned. Clearance testing documents that the mold/water intrusion has been corrected and there is no longer a mold/water intrusion issue. Indoor environmental quality (IAQ) is an age-old problem; however, our scientific understanding of the indoor environment is just beginning. With new problems cropping up everyday, and people spending the majority of their time indoors, businesses sometimes need industrial hygienists to solve their indoor air quality problems. A.R.C.H. Consulting Group should be called to investigate an indoor air quality problem when 1) in-house efforts have failed to solve the problem, 2) when the problem may be too serious to wait and needs an immediate response, 3) when there is mistrust between the occupants and the building management, 4) when there is or may be litigation, 5) occupants are filing workers compensation claims, and 6) sometimes specialized equipment or expertise is needed to assess the problem. The CIHs at A.R.C.H. Consulting Group has been performing indoor air quality (IAQ) investigations since 1986. A IAQ investigation run by an A.R.C.H. Certified Industrial Hygienist is a multi-staged project sometimes involving other experts such as Engineers, Architects, HVAC Contractors, Microbiologists, Toxicologists, Ergonomists, Physicians, and building occupants. An initial walkthrough of the affected area is first made to determine who is affected, and when and where they are affected. A search for potential sources of environmental contaminants is made to determine what may be impacting the air quality. Various processes, chemical sources, moisture, outdoor air contaminants, cleaning supplies and furnishings may all be impacting the air quality to some extent. A.R.C.H. Consulting Group then might use a variety of instruments to characterize the air quality to better understand the concerns of the occupants. The air sampling performed will prove if there is a genuine health and safety concern and will also show if the ventilation system is maintaining a comfortable environment. An inspection or analysis of the HVAC system is performed to ensure the HVAC system is operating as it was designed. After all air sampling and inspections are completed, a report with conclusions and a list of recommendations to improve the air quality is submitted. Communicating the results of the investigation to the occupants and implementing the recommendations is the best means of improving the air quality and satisfying the occupants. If you believe a health & safety hazard exists in your workplace, office or home, A.R.C.H. Consulting Group can perform a safety & hazard evaluation to determine the risk. Unexpected hazards in the area can cause people to become fatigued, develop skin rashes, experience chronic coughing or have a higher than normal rate of illness or absenteeism. If your company has just begun using a new process; is the process safe? A.R.C.H. Consulting Group can evaluate processes, tasks, operations, equipment, and procedures to identify safety & health hazards and develop appropriate workplace controls. Is the odor that you constantly smell hazardous? What is that odor composed of? Is the occasional odor you notice harmful? All these questions and more can be addressed in a safety & hazard evaluation. The A.R.C.H. Consulting Group CIHs have served successfully as expert witnesses in a number of trials, depositions, mediations and worker compensation hearings. A.R.C.H. Consulting Group CIHs have served as expert witnesses for mold cases, noise and hearing loss cases, chemical exposure and indoor air quality cases. A.R.C.H. Consulting Group CIHs are best able to collect data relevant to the case, interpret the results and present the results in an understandable way to support their side. A.R.C.H. Consulting Group can provide health & safety training at your facility that is customized for your employees. Only those hazards and concerns that directly affect your workers are discussed. Photos of specific tasks or operations at your facility can be used to drive home the health & safety points that are important to your workers. Recently the CIHs at A.R.C.H. Consulting Group have performed the following custom training classes. Depending on the type of facility and operations, A.R.C.H. Consulting Group can advise you on what type of health and safety programs may be required. Additionally, a baseline industrial hygiene survey may need to be conducted to document employee exposures to chemicals and noise to determine the need for some programs. The survey also helps to determine the level of personal protective equipment, if necessary, to perform specific tasks, to assess the efficiency of the engineering controls already in place and to determine the need for other specific programs. The purpose of this program is to ensure that adequate and effective personal protective equipment (PPE) is provided for personnel where job requirements or workplace environmental exposures demand. The types of protection addressed by this program include respiratory protection. The purpose of this program is to ensure that a safe and healthful workplace is provided for employees and to comply with applicable general safety and health standards. The purpose of this program is to administer a continuing and effective hearing conservation and noise abatement program, to minimize the risk of hearing impairment among employees from exposure to occupational noise. Note we cannot provide the audiometric testing requirements of the standard. The purpose of this program is to ensure identification of the chemical products used or encountered by employees during the course of their work. Additionally, it is to ensure that the risks associated with those products are identified and communicated to employees, and that employees are adequately trained to understand and implement such information for their own safety and that of others. One purpose of this program is to ensure that spills of hazardous materials are properly controlled and that response is effective and notifications timely, as necessary. Defines the policies, procedures and responsibilities within a company to safely handle and dispose of hazardous wastes. This program is intended to assure that respirators, when required by workplace conditions, are appropriately selected, adequately maintained and correctly worn. This program defines the number and locations of the Control Zones within a building where hazardous materials are stored. The HMMP describes how the materials are stored, the volume of hazardous materials stored in each Control Zone and what preventative measures are taken to ensure the materials are not released. This program is usually required by the local Fire Department. This plan outlines the procedures to use to evacuate a building during an emergency. The plan shows the best exits to use and lists those employees who are responsible to ensure everyone is safely out of the building. The purpose of this program is to establish procedures ensuring that all machines or equipment are isolated and inoperative before employees perform any servicing or maintenance when the unexpected energization, start up, or release of stored energy could occur and cause injury to employees. A.R.C.H. Consulting Group can also perform yearly reviews of your health & safety programs to ensure the programs remain up-to-date and responsive to workplace trends, regulatory changes and organizational objectives. We perform fit testing for both small and large companies and conduct the tests either in our office or at a client’s facility or specific job-site. During fit testing A.R.C.H. 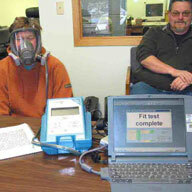 Consulting Group can also provide respirator training explaining why and how to wear respirators. Qualitative fit tests are performed using stannic oxychloride irritant smoke, but at client’s request we may use isoamyl acetate (banana oil). All respirator fit tests are performed using respirators provided by the client and it is preferable to use each employee’s personal respirator if available. 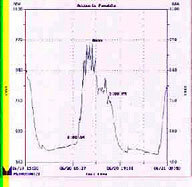 Quantitative fit tests are performed using a “PortaCount” Fit Test system. All respirator fit tests are performed using respirators provided by the client and it is preferable to use each employee’s personal respirator if available. We have adaptors, which are used with these respirators and simply need to know prior to fit testing, which brand and model of respirator the client is using. All hazardous chemical products used in the workplace have a Material Safety Data Sheets (MSDS’) prepared by the manufacturer explaining what is in the product and what hazards are posed by the product. MSDSs can also be ordered for products used in your home. A.R.C.H. Consulting Group CIHs routinely review these MSDSs for companies to identify new hazards that are being brought into your company. 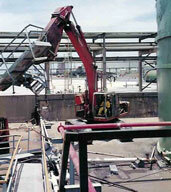 Additional training is then supplied to the workers if a new type of hazard is brought into the company. For example if your company begins to use lead-based paint for the first time, A.R.C.H. Consulting Group can ensure that you are meeting all the requirements of the Lead Standard. MSDSs are also reviewed for completeness to ensure all the facts about the hazardous product are fully disclosed. A.R.C.H. Consulting Group is also skilled at organizing and maintaining MSDSs for companies to ensure compliance with the Chemical Hazard Communication regulation. Unlike health and safety programs, site safety plans are specific to a particular job such as a spill cleanup, contaminated site remediation, construction and demolition jobs, and mold abatement. Site safety plans address general information including contact personnel, personnel responsibilities, site location and description and any previous investigation results. The bulk of the plan includes the more specific information: scope of work, site characterization: chemical and physical hazard assessments, site control measures, training, air monitoring and sampling, engineering controls, personnel protection, decontamination procedures, general safe work practices, medical surveillance and emergency procedures. Specific projects may require pre- and post-operational urine screens for heavy metals, PCB’s, organics, etc. To compliment services provided by A.R.C.H. Consulting Group, when necessary, we work with a number of Occupational Health & Safety Professionals, Engineers, Architects and Attorneys to help us completely assess and understand a complex situation. A.R.C.H. Consulting Group works closely with highly experienced and qualified asbestos and lead abatement Investigators and Contractors to correctly deal with asbestos related concerns. For years, the CIH’s at ARCH have worked with Cleaning and Restoration Contractors who can not only clean up moldy, asbestos or chemically contaminated situations but can go one step further and repair and rebuild the area so you can get back to work. A.R.C.H. Consulting Group has collaborated with professionals who are trained operators of infrared cameras to accurately and conclusively assess water intrusion in buildings. We have long-term ties to laboratories and experts who can identify unknown chemicals and particulates using a variety of instruments and having years of experience, which better helps us understand the risks involved in a situation. A.R.C.H. Consulting Group has been working with Attorneys for years and can refer you to or consult with these Attorneys to define your rights or to recommend action that you can take.